in a Mexican lake is no fish tale. The rising sun was a welcome sight for Katie Watson and me, who were sitting on our cold and nearly numb hands as guide Tony Balboa slowed his boat and shut off the motor. We had already been fishing for largemouth bass for an hour on this unusually cool December morning and I was about to dip my fingers into El Salto Lake to warm them up. The water on this Mexican impoundment near Sinaloa was warmer than the air, and the thick mist rising off the surface was beginning to thin here in a back channel. A frequent visitor to this mountain-fringed lake, Katie recognized the site and said there was a cemetery up ahead, inundated when the lake was flooded. Shortly we pulled within casting range of a tombstone and Tony motioned to cast our surface plugs toward it. The upper 10 inches of a lone tombstone were above the surface and I must have looked a little wide-eyed at it, because the English-speaking Mexican guide laughed and said, "Try to catch a live one." Katie cast a silver-and-black popper to the right side of the stone, let it lay still for a moment, then softly twitched it. Both the calm water and the morning quiet were shattered when a big bass attacked it, leaving a bathtub-size swirl where her popper had been. The Tulsa angler let out a yell, but had no chance to set the hook; the bass bolted forward and expelled the hard-plastic lure. Perhaps it was a coincidence that the sun crested the treetops at that moment and the mist disappeared, but we were both instantly warmed up. 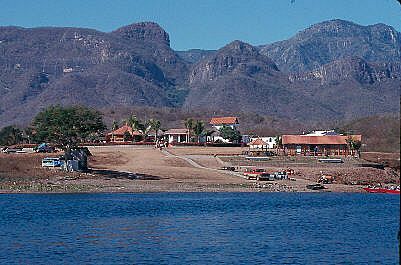 The presence of big "live ones" in this western Mexican lake currently has the blood and the adrenaline of many anglers flowing. Katie's fish could well have been akin to the 11-pound bass that a Dallas fisherman caught on the same lure at dusk the previous evening. And that topped off a day in which he had also caught and released a 10-pounder and his wife an 8-pounder. 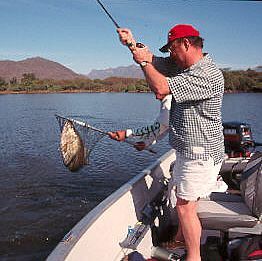 This is down-and-dirty bass fishing, however, and catching largemouths of such enviable sizes is commendable since the lake is full of flooded timber and the bass - as fast and broad-shouldered as NFL linebackers - are virtually guaranteed to streak into a submerged cactus or mesquite tree as soon as they're hooked. Many anglers have lost the biggest bass of their lives at El Salto when their line proved no match for jalapeno-hot fish and wooden underwater boobytraps. But it isn't just big bass that is drawing anglers from the U.S., Canada, Europe, and Japan. Nestled in the Sierra Madre mountains about an hour-and-a half drive from Mazatlan, this 24,000-acre lake is being fished by one of the top outfitters in the adventure fishing travel business, Billy Chapman, Jr. A former New Jerseyan whose customers have followed him to the best waters of several countries, Chapman is putting roots down here; he has already constructed the deluxe Angler's Inn fishing lodge and is starting a small retirement community, a coastal roosterfish and snook angling fishing business, a dove hunting operation, and, perhaps most importantly, expanding a humanitarian program for the people who live in the mountain villages that were displaced by the creation of the lake. That program, Clothes for Bass, is just three years old, but last year it dispensed 16,000 pounds of clothing to more than 300 nearby people. Formerly farmers, the residents are now commercial fishermen, netting El Salto for tilapia, a food fish transplanted to Mexico from its native Africa many decades ago. Tilapia repopulate quickly and need to be harvested at El Salto, but the temptation exists to also take the bass, which fetch a good price on the underground market. Netting and selling bass is illegal, but continues at other lakes, adversely affecting bass populations. Chapman's program will help sustain the bass, which attract dozens of anglers weekly; all of the bass they catch are released alive. It also gives something tangible back to the local people. "One 10-pound bass will bring $3 dollars," says Chapman, "but a full complement of clothes for a family are worth $1,500. So if they sign an agreement with me not to take the bass, and stick to the tilapia, we'll give them plenty of clothes, plus medical supplies, toys, and other things they can't afford." The average commercial tilapia fisherman earns $6,000 annually. Chapman has mostly relied on a large client list to donate the clothes and supplies. Last year nearly 400 people contributed clothes. He put their names in a drawing and picked one for a free four-day bass fishing trip to El Salto. The fact that bass are present at all in El Salto is because the lake was stocked with 200,000 Florida-strain bass in 1985 when it was filling. These fish, which have formed the cornerstone of much-heralded trophy bass stocking programs in California and Texas, are noted for growing fast and achieving huge (10- to 20-pound) sizes. 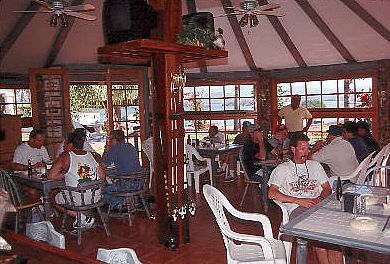 In December of 1998, El Salto produced a lake-record 14-pound 3-ounce bass to one of Chapman's customers, and 20-pounders may be possible. 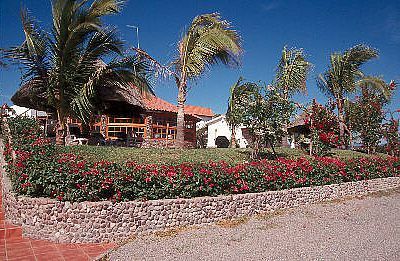 If so, that would put El Salto on a short list of the world's best big-bass lakes. Helping to fuel this is the fact that in 1994, a 16-pound 3-ounce bass was found dead in El Salto; it had choked to death with a tilapia wedged in its throat. © 2000 Ken Schultz and kenschultz.com. All Rights Reserved. Ken Schultz has been called "Mr. Fishing USA" by ESPN. The Wall Street Journal said his Fishing Encyclopedia was "a treasure" and USA TODAY said it was "exhaustive." And the Outdoor Life Network called him the "best fisherman on the planet." Ken Schultz's articles have appeared for more than two decades in the pages of Field & Stream and the sports pages of The New York Times. He has 11 books and one encyclopedia to his credit. 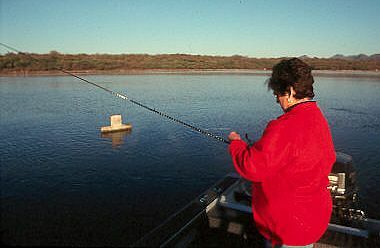 His exhaustive information on angling is available on www.kenschultz.com The site features everything there is to know about equipment, species, destinations, and basic how-to information on all aspects of sport fishing. His practical fishing tips and Gear Guide segments are currently televised on the Outdoor Life Network, and he has appeared on various shows on TNN, ESPN, ESPN2, and even on CNBC. His 1,916-page encyclopedia, Ken Schultz's Fishing Encyclopedia & Worldwide Angling Guide, was published recently to rave reviews around the world. Containing 1936 pages, 422 illustrations, 470 photos, 718 line drawings, and more than 2000 entries from abeam to Zambia, the tome weighs in at nearly ten pounds. It is currently on the outdoor bestseller list and is being translated into several foreign languages.